There’s not many times I look over the Border and think ‘I wish we had that’. So I was delighted when Dementia Friends launched in Scotland and even happier to get my badge. Already a great success, Dementia Friends is a wonderful resource and a very quick and easy way of helping folk find out more about dementia; a boon for our aspiring Dementia Friendly Communities. But it’s just a start, we need more. In the world of paid caring, they already have quite a developed approach to using people to make change happen. Health and social care services staff have a Dementia Champions Programme which supports people to act as change agents. There are also Dementia Ambassadors who help spread knowledge and understanding about dementia. When I read about these schemes I wanted to help, after all, walking alongside our loved ones with dementia gives us a very keen appreciation of the importance of respect and understanding amongst the paid workforce as well as the community dimension. We’ve got concrete experience of what makes a difference and are a powerful force for change. We can tell you in words of one syllable why a smile matters. I was amazed to find that the scheme doesn’t include unpaid carers, I can’t be a champion or ambassador. I was gobsmacked. They should biting our hands off. In the words of the late great Ian Dury, what a waste. A few e mails and I soon found people who got it and I was introduced to the Equal Partners in Care ( EPIC) programme. It’s all about helping paid staff in health and social care settings work more closely and effectively with carers. A short while later, Val from my Mum’s care home (who’s a Dementia Ambassador), Scott (Mum’s then key worker) and me were interviewed by Gill for EPIC. We each talked about how by working together Mum got great care, I was happy and Val and Scott loved their jobs. It’s just better for everyone in every way. It felt like a celebration and a chance to say how much we value each other. Like when Mum gets upset when I leave, Scott comes over and says ‘Goodness gracious me!’ Mum giggles and says ‘Great balls of fire!’ And the pair of them, and everyone else in earshot, beam. Mum sees his smiling face, feels at home and waves me off quite happily. I leave knowing Mum is happy and safe. I never leave with that horrible guilt and worry about what happens when the door closes behind me. I don’t want anyone to leave a loved one like that. I couldn’t do their job, but I am so glad people like Val and the other staff are round to help me and Mum through. They walk beside us and I can’t begin to explain how that helps. It’s so important that the voices and lived experiences of people affected by dementia are part of the change process in health settings not just in the community. Friends are great, but we also need powerful Ambassadors and Champions; a growing number of people living with dementia across Scotland want to have their say and we all need to be included. We are an important part of the change process. Most people who live with dementia – before or after a diagnosis, unpaid carer or family member – are in a community. People in residential care and hospitals are still part of our communities. The paid carers of the future and people who might get dementia in the future are in our communities, in schools, jobs, shops. We have to be a more powerful part of the equation. The world needs to change too and we need to do it together. So welcome to Scotland Dementia Friends. Now let’s have the rest. Please. It really doesn’t take very much to change the world. 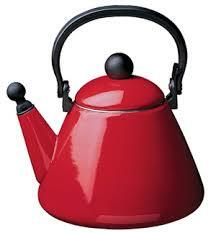 All you need is a cause, a room and a kettle and anything can happen. It’s that simple; find a way to bring folk together in common cause and things will never be the same again. It’s certainly working for us in East Lothian where we’ve now got 3 Dementia Friendly conversations up and running and more hoping to start off too. These conversations are changing things, though as befits a complex messy world, it’s not happening in a simple linear way! As we get more experience, a pattern is emerging and I’m starting to relax and trust the process. First find your passion, something that really matters to you and you want to do something about. Then find people who care about the same issue and also want to make things happen. Share your dreams widely and freely. Talk to people in the streets, in shops, as you go about your daily business, if they’re interested you’ll soon tell. If it looks like a go-er, start planning; bring the wider community in, talk about what each individual can do to make things change. Find your room, make a date and get that kettle on. Those of us who truly believe that if we build it, they will come, know exactly what I’m talking about. This is about creating a community field of dreams. It starts with enthusiasm, passion, vision – they act like magnets, provide a coordinating principle, a centre of gravity – pick you imagery to suit. At first it can seem a bit disorganised and scary. You can’t set up much of an agenda because every conversation is unique and has to go its own way. The usual ways of running meetings don’t work and there are no formal rules or procedures. But the coming together of people to change the world has an order of its own. Gatherings have to be value based – mutual respect and listening really matter. Gatherings have to have a purpose, even if that takes time to emerge. Conversations have be facilitated and structured so that everyone can contribute in some way or another, so they flow, evolve and progress into action. Plans slowly begin to crystallise, we start talking about how to bring others into our discussions, they bring new ideas, new contacts, new resources. Conversations are rooted in our local community, our local people, our local places, our local issues. They are real and meaningful and grounded in the reality of places and people. Someone’s on a group that’s working to improve the High Street, maybe we could integrate some dementia friendly thinking in at an early stage. And this is the perfect time because that’d help everyone and save costly mistakes. Someone else is developing a new service which would fit so well for people with dementia with just a small tweak or two, with a bit of training they think they could make a big difference here. What if the Youth Project and the Day Centre got together to organise a music event, that would be really special and would help build understanding and friendships across the community. We start to talk about how to take things a bit further, we get ambitious. A chat with someone who works with the schools so we can reach more young people and hear what they think about getting older in their community. A group passionate about physical activity gets together to look at how we can remove barriers. Local organisations and services offer us rooms we can use for meetings and help with printing. We organise a community event to bring everyone together and involve the Business Association. We work out the big things that we can’t do ourselves and find someone to help us. Several years ago a wise friend said that if we wanted to make the vision of the Christie Commission a reality we had to find out what makes change happen. It’s oh so clear to me now. People make change happen. I make change happen. You make change happen. We make change happen. Changing the world doesn’t start with systems and processes; you can’t change the world just by putting the word in a job description, If it was that easy. we’d all have done it years ago. The proof of the pudding is in the eating and Dementia Friendly East Lothian is making change happen. Small changes will make big differences, but we need to address the big things too if we are to ensure we get the services and communities that we want and need. How far can we get? We don’t know yet, we’re not even thinking about limitations, we’re being positive. In the words of another wise friend, we’ll proceed until apprehended. Carer Brain – Looking Inside the Brain of a Carer…. It’s Carers Week and there’s lots of stuff around about how us carers manage to juggle caring with a whole range of other things. Some folks manage, some struggle, some topple over the edge. There are many powerful stories about our trials and tribulations and the hard work we put in to making it work for the people we love. What’s not always as visible is what caring does to our heads and as a psychologist I’m very interested in that, so I thought I’d do a spot of reflective thinking about the impact that caring has had on me and how I think. When you’re a carer things are pretty black and white and priorities are crystal clear, especially at crunch times. Caring for parents with dementia and other illnesses means that at any moment anything can happen. A fall, an exploding microwave, a lost key, a distressed and frightened phone call. When you’re a carer, you dread what’s coming, you’re always expecting something to happen. I still freeze when the phone rings, especially at care home getting up times and late at night. Is this the call? My heart stops, dreading who might be on the other end. One morning on the way to work I got ‘the call’ about Dad. One day it will come for Mum. When you’re a carer your head is full of lists and appointments. You have total responsibility for someone else’s life. It’s not just my dentist, optician and GP appointments, the hospital appointments that come with health problems and the general ageing process. Pick up medication, buy milk, do the washing, pay the Day Centre. When you’re a carer, things can get pretty emotional. Walking alongside loved ones who live with dementia brings with it all that is the best and worst of being human. The journey takes us to the heights and the depths of our emotional life. Love and concern for my wee Mum can come rushing in at any time, almost bowling me off my feet. 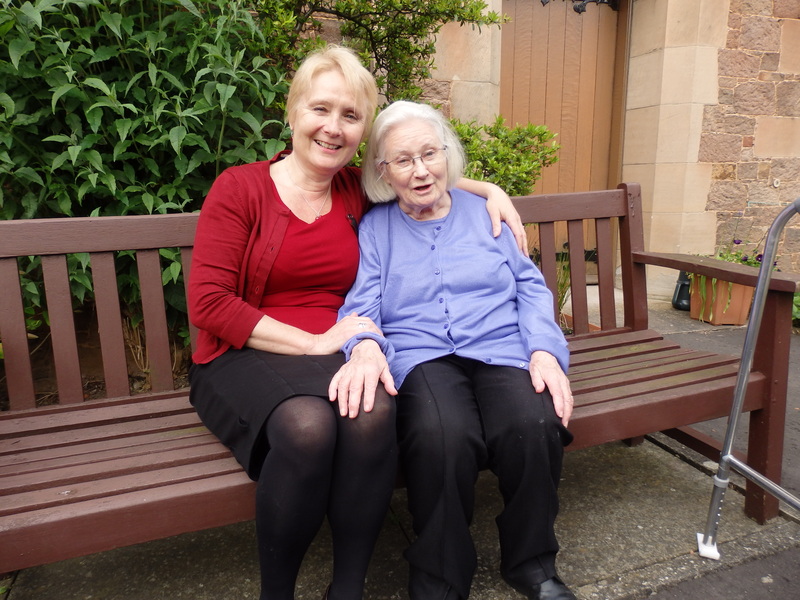 Mum’s bravery, her resilience and determination to find a way round dementia, her fight to stay independent and in control, her vulnerability, the kindness of her carers and friends, the thought of where dementia will take her, the worry that I might get it. Of course I’m emotional, of course at times it gets too much. When you’re a carer you’re always asking favours and always grateful for small kindnesses and mercies, you owe everybody. The carer Fiona who read Mum my daily diary note in the morning and initialled it so I knew she’d done that; Alf, the neighbour who kept a friendly eye on things. The boss who never asked any questions if I had to leave early or flex my working for hospital visits. And of course there’s the guilt that haunts you whatever you do. Although Mum might forget I’m her daughter, she still knows and loves me. At this stage in her journey, I can make her happy just by holding her hand and making her smile. I feel constant guilt that I’m having a run, walking on the beach with Ali, writing this blog, doing dementia friendly work when I have a Mum who I should be with. I will have life long guilt that somehow I am to blame for the awful experience Dad had in a nursing home until we got him up to Fidra in North Berwick and he had 6 final, happy months. None of these are unique to caring for parents, or dementia or disability, all of these are a normal part of caring, full stop. What people can fail to appreciate is the intense vulnerability of people with dementias; their total dependence on how they are treated by the people around them and that vulnerability increases day by day. A large part of being a carer protecting our loved ones from the inadequacies of the health and social care system, a system which often removes the humanity from the people who work in it. That’s what Christie was about for me, reminding us that it’s really all about people and how we treat each other. Outcomes don’t happen by magic, people are what it is all about and caring for people dementia means there is no way of avoiding this simple truth. I didn’t truly understand what vulnerability meant until I saw Mum, tiny and frail in the corner of a hospital ward where she’d been most of the day after having been ‘discharged’. Someone forgot to tell me. She sat there in her nightie, trying to be invisible; the fear, confusion and pain in her eyes haunt me still. I’d been at work, catching up on things and arrived for evening visiting thinking she’d been safe and cared for. Every day until Mum went into the Abbey, her lovely care home, I rang her from work at 9am. By 9 she’d be up, got herself sorted and would be expecting the carers. I wanted her to have a friendly loving voice to greet her in the morning and help her orientate to the day ahead. But there were many mornings when there was a crisis I had to deal with there and then; the carer hadn’t come so she’d not had medicines; there was a leak in the bathroom; she’d had a nightmare she believed was real; she was searching her 3 rooms for my Dad. There were times when I had to put the phone down on a very confused and frightened woman, praying that the carers would turn up soon because I had work to do, planning my exit if they didn’t. Then I’d have to walk into a meeting as if there was nothing wrong. Sometimes I just couldn’t compartmentalise enough. Carers often live on the edge of a precipice; anything can happen at any time, you have to be always alert, always ready to act, hoping for the best, expecting the worst. None of us know what will happen next, the difference is that for many carers we’ve a pretty good idea of what’s ahead, and it’s scary. Now that Mum’s in a lovely care home, I’m not her only carer. Looking back I wonder how on earth I coped when I had a full time job and Mum was ‘living independently’. I suppose the answer is that in the end I didn’t, I had to leave my work and my health and well being were pretty well messed up. Lots of carers try their best to make it all work and just can’t, lots of us leave our jobs because we can’t stretch things any further, we go ping. Caring undermines our health, takes up massive amounts of time, energy and brain power. Caring takes over your brain, hijacks your emotions and gradually your confidence and your capability can get undermined. When you can no longer do the things you’ve always taken for granted, when you find your tolerance and resilience flagging, confidence plummets. Caring can take its toll and something has to give. BUT now that my caring role is manageable and we are Mother and daughter again, I can look back and reassess. I can juggle time, thoughts and diaries like a demon and when things go splat I just deal with it and carry on. I am gradually re building my confidence. Caring for parents with dementia has been one of the most remarkable experiences of my life. It has highlighted to me that what really matters is how we treat our fellow humans, especially the ones that are most vulnerable and sensitive. We’re all cheered by a smile and depressed by a telling off, people with dementia just show it better. Carers of course need more formal support too and with our ageing population more and more of us will be carers at some point in our lives. And more and more of us will probably need cared for in our later years. The country can’t afford to lose carers from the workforce because we’re knackered or have to give up our jobs from ill health. The health services can’t afford lots of worn out sick carers who have given so much caring for others they can’t care for themselves. We’re going to need understanding, good quality services for our loved ones; support to help us stay in work or return to work after our caring role is done. It’s do able and essential – a lot’s been done for parents (though parents/carers of disabled children struggle and don’t get the support they deserve), surely it can only be a matter of time before we start to adapt things so that caring at the other end of life is supported too. Fingers crossed.